Alison Deaner joined ARFD in 2014 and practices in the area of medical malpractice defense. Prior to joining the firm, she practiced in both New Jersey and New York, specializing in medical malpractice defense and nursing home litigation, handling case management as well as appellate practice. She began her career as a judicial clerk for the Honorable Paul X. Escandon, J.S.C., a family law Judge in New Jersey. Alison is a graduate of Brooklyn Law School, where she had been awarded multiple scholarships, including the Dean’s Merit Scholarship. During law school, she interned at the Southern District of New York for the Honorable Barbara S. Jones, U.S.D.J. and at the District Court of New Jersey for the Honorable Michael A. Shipp, U.S.M.J. (now U.S.D.J). She is also a graduate of the University of Michigan. Alison is admitted to practice law in New York and New Jersey, and in the United States District Courts of New Jersey and the Southern and Eastern Districts of New York. 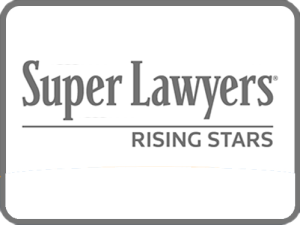 5 ARFD attorneys recognized as 2018 NY-Metro Rising Stars by Super Lawyers!